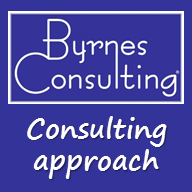 Byrnes Consulting takes the approach of teaching our clients what we know by sharing our expertise on whatever topic we are hired to discuss. We do this so our clients can eventually take flight and not need us anymore to increase their success. In other words, we put ourselves out of work. Our clients become raving fans, telling many other individuals and organizations so there is always a steady stream of new business. Plus, our clients often return with new needs for our consulting services as their businesses evolve. Contact us to find out more about our consulting approach. 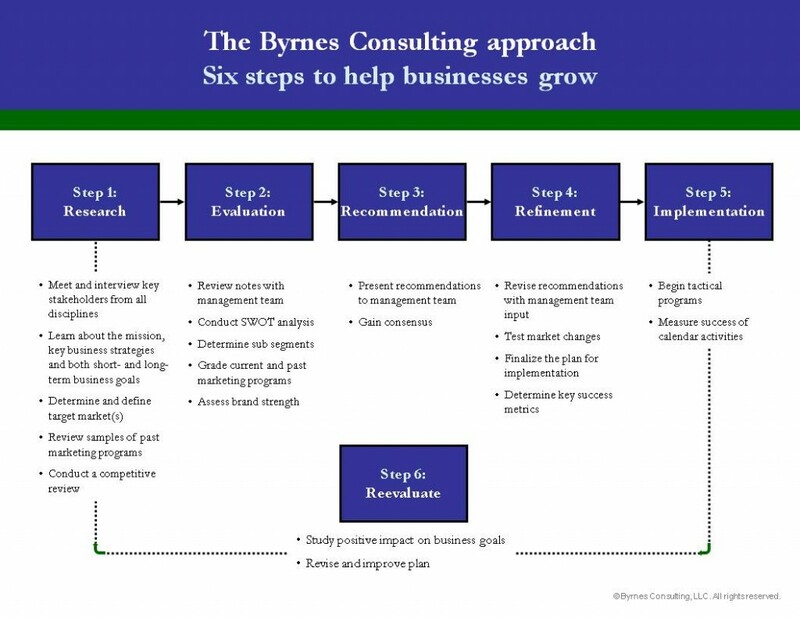 Here is a sample of how a consulting engagement might work with a larger organization.